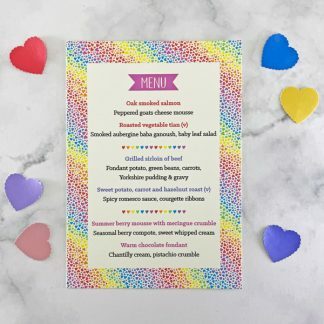 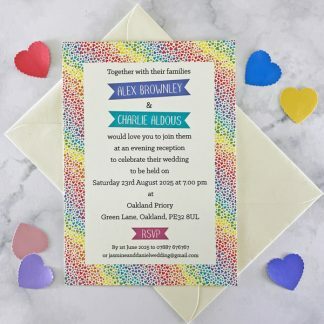 The Rainbow Hearts wedding stationery range is perfect for those looking for a fun and colourful wedding design. 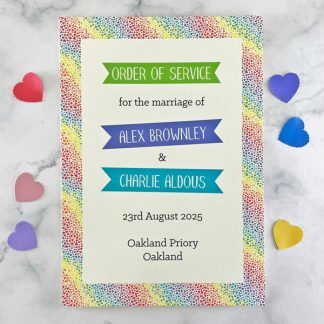 It’s also ideal for weddings with a Pride theme. 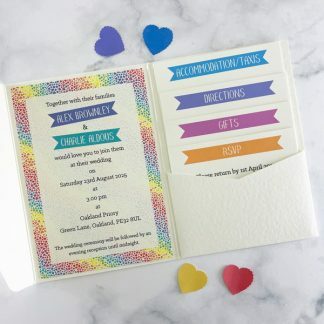 There are three invitation styles in the Rainbow Hearts design – pocketfold, concertina and postcard size. 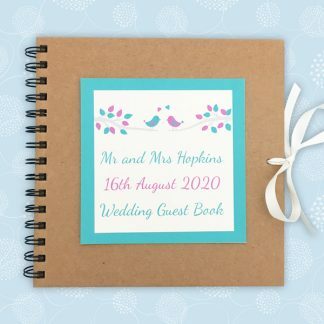 There are also co-ordinating stationery items to use on the wedding day. 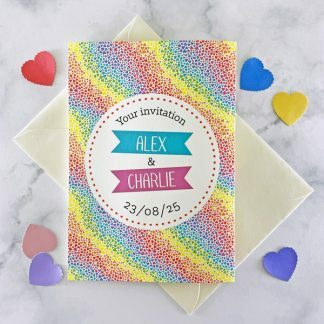 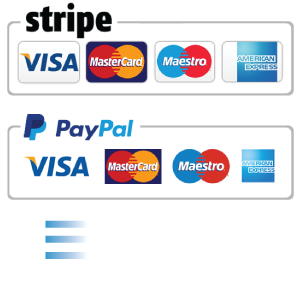 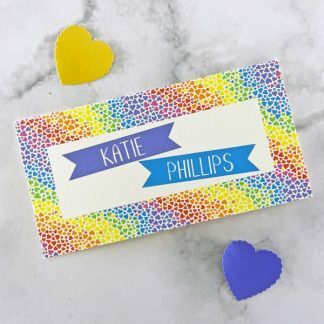 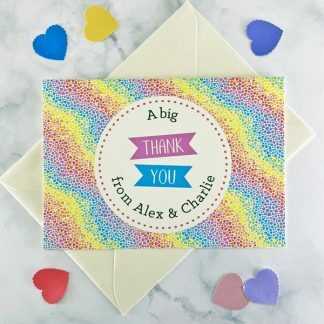 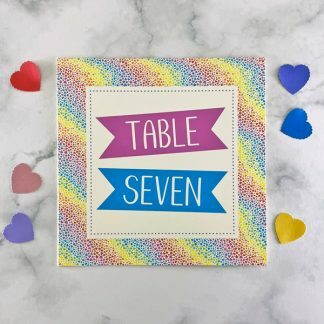 Each Rainbow Hearts item of stationery is available in your choice or white or ivory card, with a smooth or textured finish.